I woke up feeling like a crab yesterday......like a crab for dinner that is!! This contemporary screen print fabric is "Fisherman's Catch" by Dan Morris for ROBERT KAUFMAN. Post 86 Fiesta in Cobalt, White and Cinnabar, with Fiestaware 2000 mugs in Cobalt. 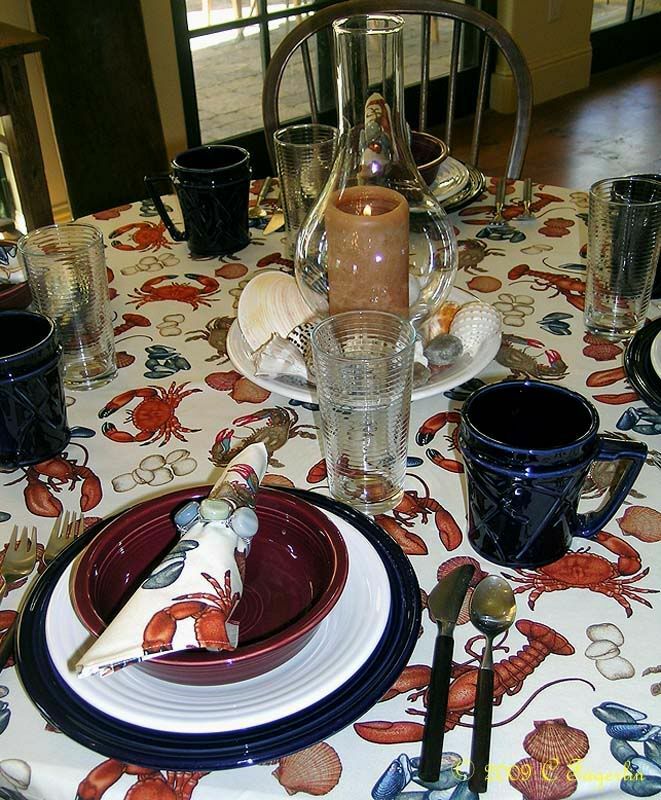 Flatware is Dansk, glassware from Home Goods, napkin rings from Bed Bath Beyond and the sea shells were from the beach. 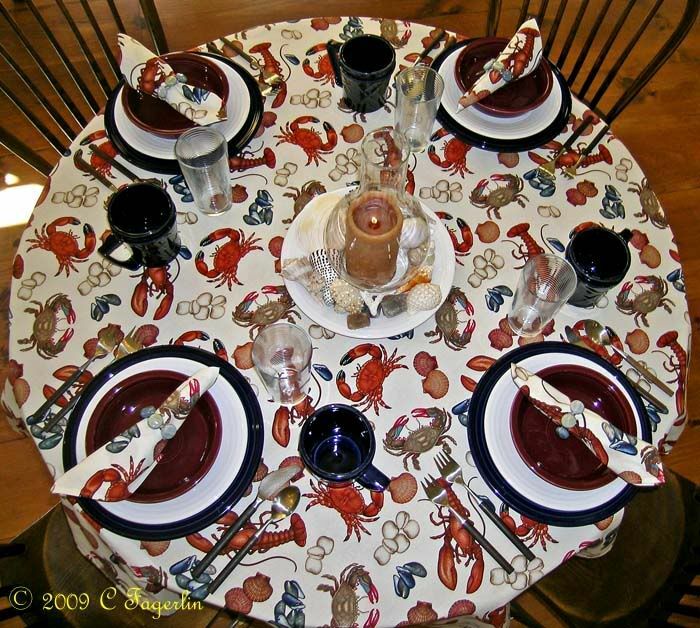 This looks just like what we are looking for, for tablecloth material for our Chili and Chowder cook-off in Stanwood ,WA. Stay tuned! We will send a picture! Sounds great, it is beautiful fabric.